ACCESS has five main Work Packs: Climate change, Transport and Tourism, Fisheries, Resource extraction and Arctic Governance. The NOC, in collaboration with the Beijer Institute, Stockholm, lead Work Pack 5 - Arctic Governance. 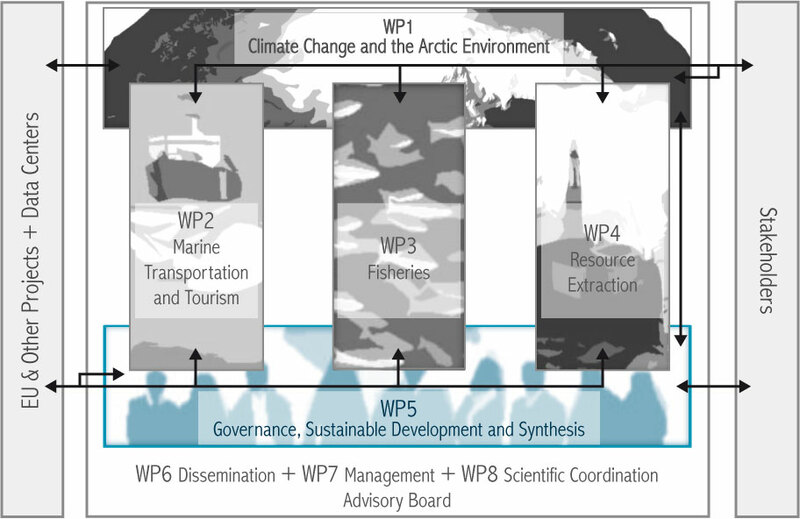 The objective of the work package dedicated to Arctic Governance, Sustainable Development and Synthesis is to provide an overview of each of the ACCESS sectors of maritime shipping, tourism, fisheries and oil and gas extraction in respect of their relevant regulatory systems, legislation and agreements, and their interaction with the indigenous people (and other stakeholders) in the region. To evaluate the effectiveness of regulatory instruments in the Arctic Ocean a detailed understanding of how marine space in the Arctic is used. 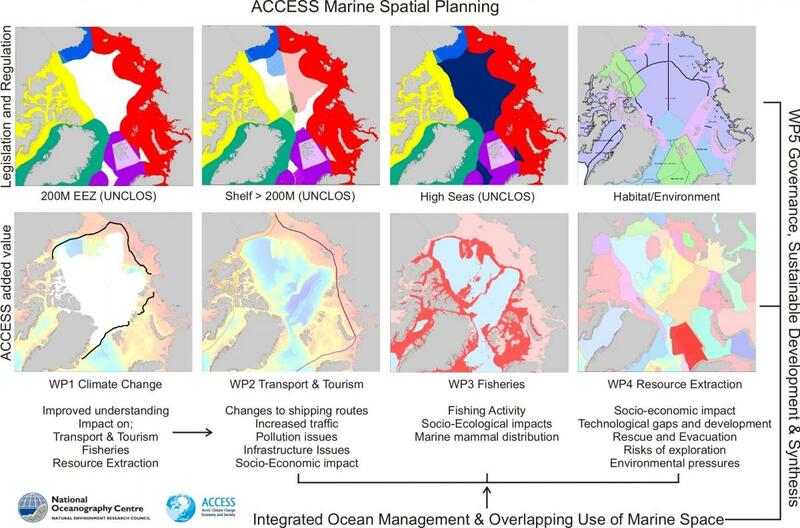 To do this, information from each of the economic activities being addressed by ACCESS needs be incorporated into a marine spatial visualisation tool. This tool will bring together the multi-faceted regulatory, scientific, socio-economic and environmental parameters, including how they will change in relation to long-term climate change in the Arctic Ocean. This will enable direct and integrated analyses of the impact of climate change. The link directs you to a layered pdf where an example of how the various elemets addressed by ACCESS can be seen to have a spatial impact on each other.